I’m usually quite lucky in my choices of older British movies. Some I’ve watched in the past make my extended best of list. However, They Were Not Divided will not be on that list. It’s not a bad movie but it felt at times as if the director had intended to make a war movie – based on true events (!) – which is suitable for the whole family. The result is a bit too cute for my taste. At the core of the movie is the friendship between a British, an American and an Irish soldier. Especially the Englishman Philip Hamilton and the American David Morgan are very close. After having undergone intense training which we are shown in a long boot camp sequence, which reminded me a bit of Full Metal Jacket, the three men are promoted and assigned to serve in the tank company of the Welsh Guards. 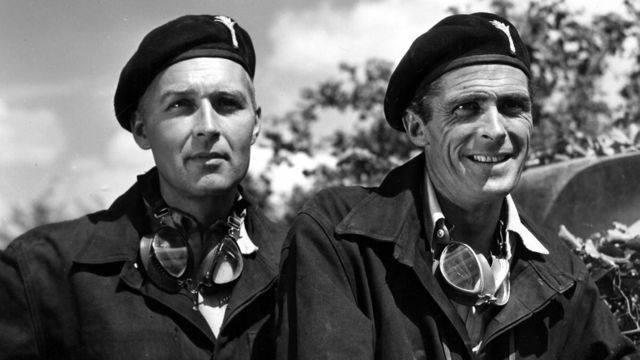 Two thirds of the film are taken up by the boot camp and further tank training episodes, occasionally interrupted by leaves which they spend at Philip’s home. During one of those leaves, David meets an English girl and falls in love with her. There is a lot of emphasis on the relationships in the movie. The marriage between Philip and his wife is explored as well as the relationship between David and his future fiancée. The last part of the film, could finally be called the real war movie part. The three main characters land at Normandy weeks after D-Day as part of the Welsh Guard’s Armoured Division. They quickly see combat and have to cope with fighting a war in another country, far from their wives and girl friends. The film then picks up speed and we see many of the crucial moments of WWII: Operation Market Garden, The Battle of the Bulge. We see how the Welsh Guards join American paratroopers at the Grave bridge before moving to Nijmegen during Operation Market Garden. 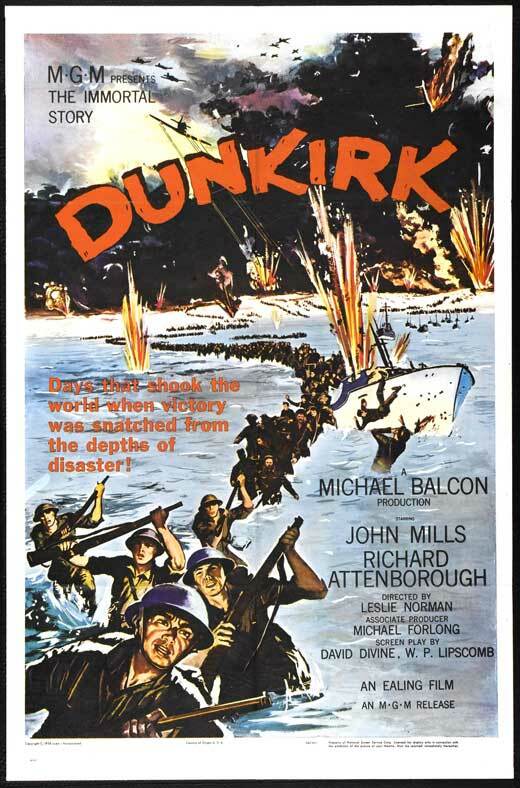 The film ends with the Ardennes Offensive and the Guards’ unknown operations around the east side of the river Meuse. I suppose it isn’t spoiling the movie too much if I mention that not everyone survives. 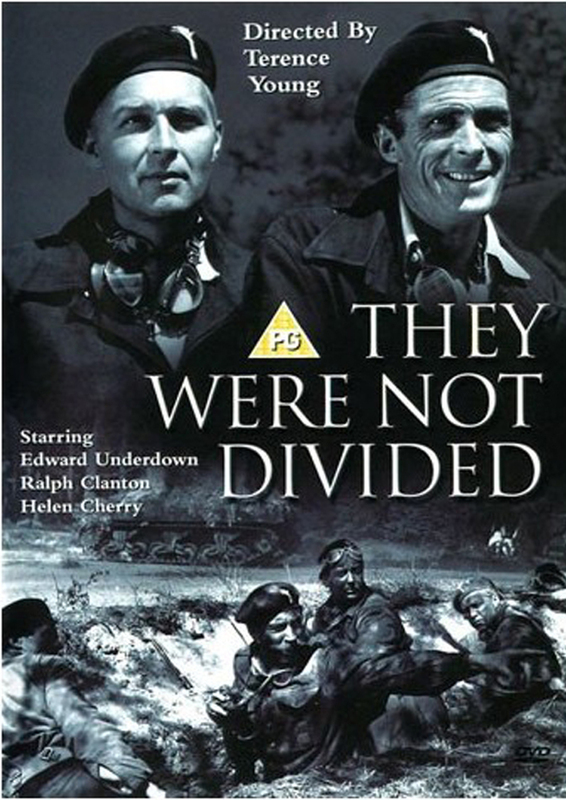 I think They Were Not Divided isn’t exactly a must see but I’ve seen far worse. It’s an ok movie, it just doesn’t really have anything that stands out with the exception of some quite humorous scenes during the boot camp sequence. It’s safe to say that even the very squeamish can watch this. 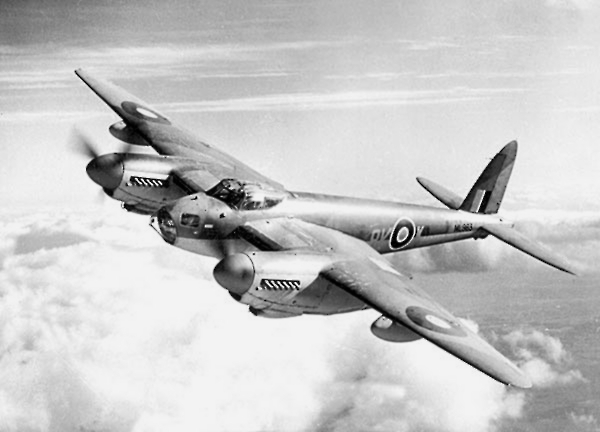 If you’re looking for a WWII film to watch with the whole family, this could be your choice.